So if I thought it was going to be pretty easy to replicate the steps I'd taken in previous campaigns, I was completely mistaken. Apparently it wasn't just the Tomb Kings that dropped into the Mortal Empires map with the new DLC. There were also some updates and fixes, and a balance pass which made the Legendary campaign even harder. Harder. Are you kidding me. 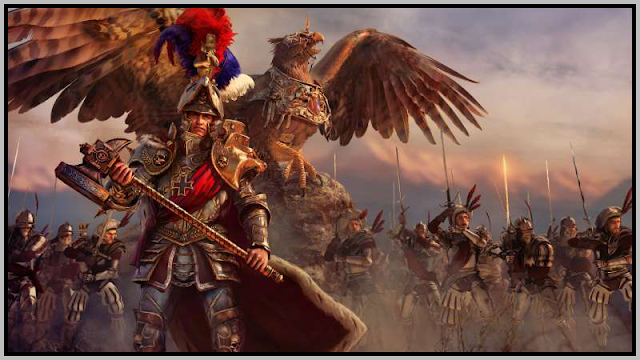 The very first battle of Karl Franz's fledgling career is to hit the rebels south of Altdorf. No problem - we did that, and then marched on to Grunburg, which is lightly defended by a tiny force of rebels. I reinforced the army, sent them in and pressed auto-resolve - after all, I've done this seven times before on Legendary and never had any problem. So now I'm already majorly behind the campaign, because by the time we rebuild Franz's army the rebels will have dug in at Helmgart and Eilhart, and it will no longer be a glorious consolidation of the Reikland, but a long and painful civil war which will leave the Empire sadly diminished by the time the Norsemen and vampires come into power. Not to mention having to fend off attacks from opportunistic Elector Counts or small factions who will look at the divided Reik and say to themselves, hrmm, I can take those guys. I'm ashamed to say that I restarted. So much for playing on till the bitter end. So onto Legendary campaign number nine. I am taking personal command of every battle. No auto-resolves at all, because it's too risky in this post-DLC world. The Empire unites the Reikland. In my written account we take advantage of the war between Marienburg and Bretonnia to secure the city of Marienburg. Except this time there is no war, because the two conclude an armistice. So the glorious re-annexation of Marienburg, detailed in Part III in this series, never happens in playthrough number nine. The end comes for the Empire. Determined to make the facts fit my written narrative, I resolve to attack Marienburg anyway. We build up at Eilhart to prepare a surprise attack. Then suddenly orcs from Grung Zing come barreling down from the mountains, march past Marienburg, and attack us. We barely hold. We re-build, and march past Marienburg to attack the orcs at Grung Zint. A fierce battle ensues which decimates both armies, but leaves us too weakened to march onto the stronghold. We are forced to retreat back to Eilhart. We rebuild for another attack. Then suddenly more orcs - the Skull-takerz - completely destroy Wissenland, the province on the Empire's south-eastern border. They march into the Reik and take Grunburg. Now I'm facing two Orc armies, one in the north-west and one in the south-east. In every other campaign I have ever played - both in the first game and the second game - these two Orc factions are basically just nuisances to be swatted in the early game. They force you to watch your border cities lest they get plundered by a bunch of rag tag orcs. They never become world powers. Someone in Creative Assembly must have decided that these guys needed some loving, because the Skull-Takerz sent army after army into the Reik after consolidating in Wissenland. We are forced to abandon our frontier cities and make a stand in the capital of Altdorf. Then somehow or other the Skullsmasherz make an alliance with the dwarves of Karak Ziflin - Dwarves! The ancestral enemy of the greenskins - and those backstabbing assholes take our last frontier city of Helmgart. Only Altdorf remains. 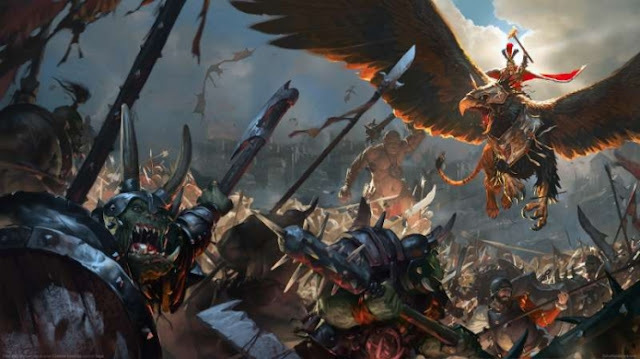 Karl Franz's last stand against the greenskins. Except in my game he didn't have a griffon. Ashamed of my capitulation in playthrough eight I resolve to play till the bitter end. And the end comes, but not after Franz smashes greenskin army after greenskin army. Every victory leaves us more and more diminished, however, and we don't have time to replace our exhausted troops. The final straw in the coffin is when the Skull-Takerz invite the Crooked Moon - a Goblin tribe in the southern Grey Mountains - to join the fight against us. 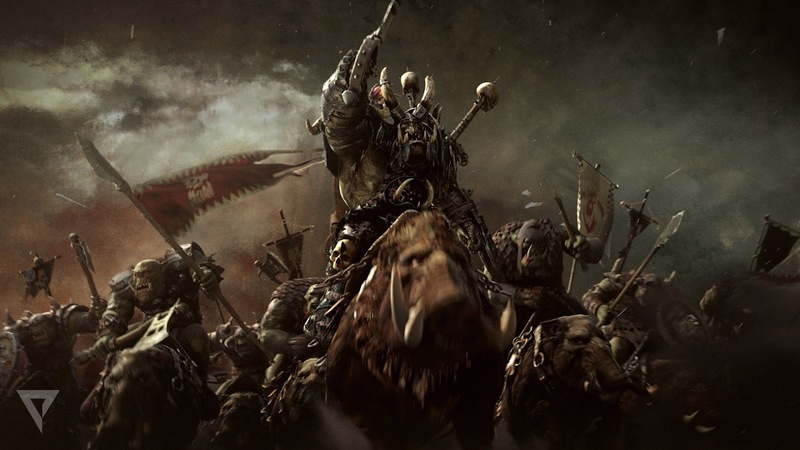 Karl Franz and Altdorf eventually fall under an overwhelming tide of greenskins, ending playthrough number nine. Legendary is just for idiot masochists like me who want to suffer. There are four other difficulty settings available, so you can tune the game to what you find most enjoyable for you. Plus I built up to Legendary, because, well, I play this game a lot. Before you buy the game you should know that the Mortal Empires map is an amalgamation of the world maps of the first and second games, and YOU NEED TO HAVE BOTH GAMES TO UNLOCK IT. 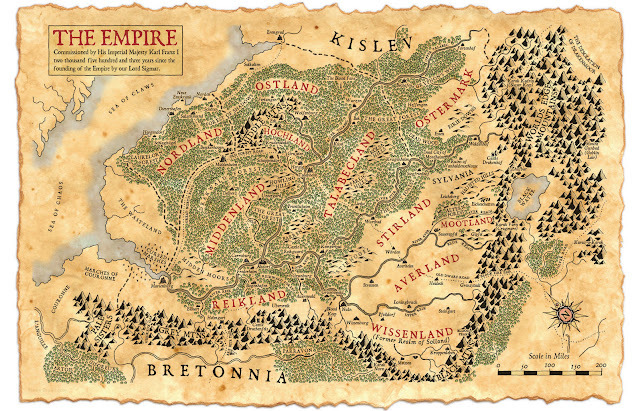 If you only have the first game the campaign map is the fantasy equivalent of Europe stretching from France (Bretonnia) to Poland (Kislev), with Germany (the Empire, my faction) stuck in the middle. The map extends south as far as the Middle East (the Badlands), north to Scandanavia (Norsca) and includes the Mediterranean Sea and the countries of Italy (Tilea) and Spain (Estalia). If you have the second game the campaign map is basically the New World - North America (Naggarond) and South America (Lustria). 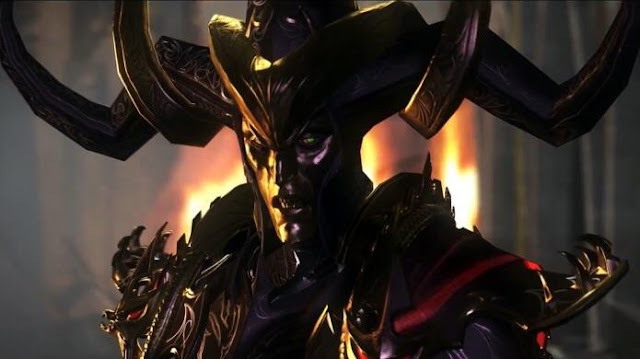 If there was a massive landmass in the middle of the Atlantic Ocean it would be Ulthuan, the home of the High Elves. The second game also extends southward to include North Africa (Araby) and Egypt (Khemri, home of the Tomb Kings). The second game's mechanics are also a little different. In the first game it was a conquer the world type of game. The second game is a race, and doesn't require you to accumulate territory. Instead it favors lightning type of warfare, as you try to disrupt the enemy's rituals while completing yours. First faction to complete all five (?) rituals wins the game. I'll try to find a world map and add it to my next blog post. It's funny, I always thought that Tilea was Spain and Estalia Portugal (I don't know why). But it makes a lot more sense that way. Well, consider me corrected on that, thank you. Ouch! The game (and CA) seems to hate you! I'm going to try again!